As I mentioned two weeks ago, “Best of” lists are not my thing. I find that, at best, they give a lopsided view of the industry or, at their worst, totally misrepresent the field. That being said, last week I said that I was going to do my own take on them, from a retailer perspective. Now, that doesn’t mean I’m going to give you a Top 10 (or 13) list of books I liked. Rather, I want to discuss some things this year that made me, personally, happy as a retailer. Another thing I mentioned last week was lateness, a factor that has a huge impact on retailers. So, the first thing I am going to mention is Kurt Busiek and Brent Anderson’s Astro City. By far the best “straight” superhero comic out there, this was a book that has been plagued with lateness through many different runs and publishers, very frequently for very understandable reasons. Nonetheless, Astro City’s lateness was a problem. 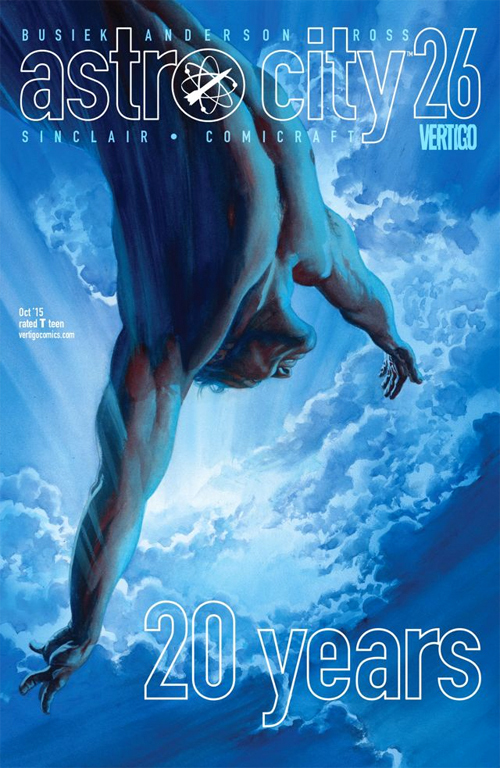 In the current run at Vertigo, though, Anderson was bold enough to allow for fill-in artists to take his place on certain standalone issues. Now, while it’s quite an adjustment to read an Astro City story NOT drawn by Anderson, Busiek very carefully chose which tales he would use the guest artist for, and the overall effect works well. So, as a retailer who can point to 12 issues of this creator-owned, superhero masterpiece from the last 12 months, I am happy. When it comes to graphic novels, one of the great challenges in finding a match for a customer is the accessibility of the book. Part of the reason Maus, Bone, Persepolis and Fun Home are such huge “mainstream” successes is because they are accessible not just in their subject matter and conclusions but also within their art. Truly powerful graphic novels can often be challenging in the way they are paneled, drawn or even just in the basic narrative structure. 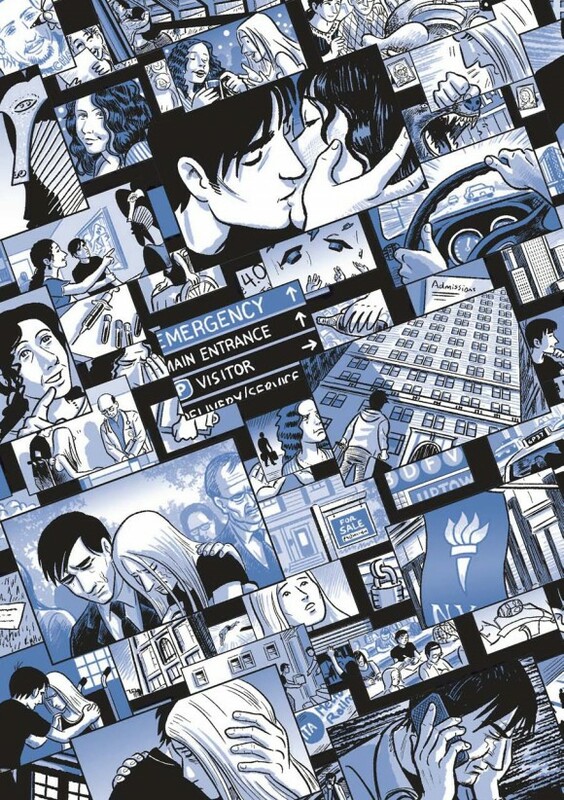 Much of what can make a comic great can be hard to decipher to the “uninitiated.” That’s why this year I was very happy to be able to sell Scott McCloud’s The Sculptor, from First Second. While not as…heavy… a subject matter as some of the other books I just mentioned, McCloud’s masterful ability to convey time, emotion and subtext through his paneling is almost unmatched. More than one customer came to me confused about how deeply drawn into the book they were, which led to a discussion about how comics work (and sometimes sales of McCloud’s other masterpiece, Understanding Comics). Most of the “Best of” lists you’ve read so far, I bet, had something Star Wars on them. There’s a reason for that. By the time Dark Horse ended their run on the comic the “Extended Universe” they had created was one of the most complicated and convoluted in a franchise already full of complication and confusion. 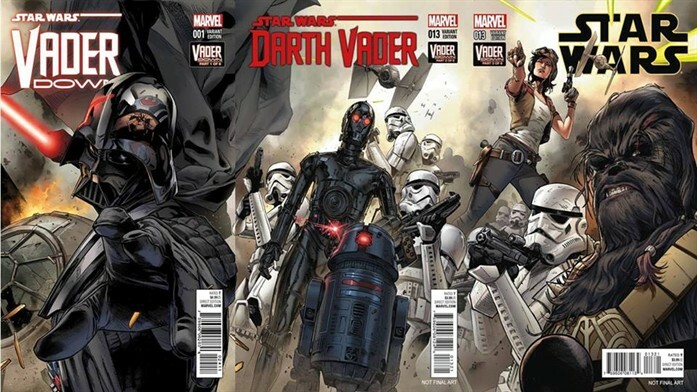 While the buzz for The Force Awakens would have made selling pretty much any Star Wars comics easy, Marvel’s decision to pare down to straightforward plot lines all happening within the same time-frame (and heavily attached to the most famous and acclaimed of the films) was one that, as a retailer, I greatly appreciate. Combine that with the incredible crew of talented creators they put on these well-thought out books and, well, even with all the crap they pulled this year, you have to give the company credit. 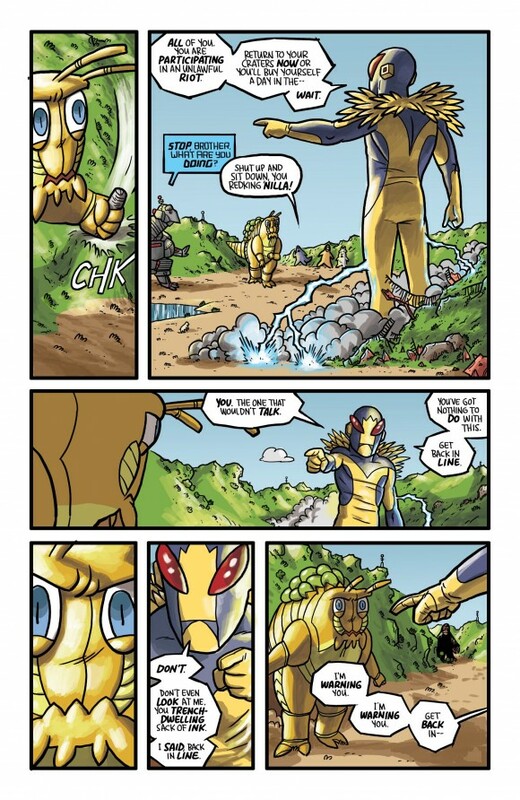 Originality, though, is something I favor much more than a well-done franchise bit, so I need to list Zander Cannon’s Kaijumax, solicited as an intensely simple “high concept” book: a prison for the giant monsters of Japanese cinema. The Oni Press book’s deceptively bright color palette and simplistic art counterbalanced a really fully formed and subtly nuanced world. Slowly unfolding at a pace that never gets dull, we are shown a world where everyone — human, kaiju, mecha — is fleshed out and three dimensional. When explaining the book to customers I have found the simplest way to explain it is “It’s HBO’s Oz with kaiju.” Just for the the simple fact that I get to say a sentence like that is enough to make me happy. Cannon’s strong sense of what makes a comic truly work and his clear joy in getting to draw what he wants to draw shines on every page but it also never overshadows the actual plot and point of each story — a balance that is pretty damn hard to hit. As someone with a comic shop that tries to carrying a wide-range of material and formats. I would have to say that another thing that really made me happy this year is the shift to “digital first, trade later” books. This isn’t something new, as all sorts of webcomics have done this and we’ve seen a movement toward it by digital-comic creators such as Thrillbent, as well. 2015, though, was the year of the most successful of these, with Stjepan Sejic’s Sunstone releasing two volumes in that way via Image/Top Cow, both of which made The New York Times Best-Seller List and drawing lots of attention from many media outlets. The fact that Sunstone’s content is also”mature” says quite a bit about the maturity of the industry, as well — or at least public perception of it. 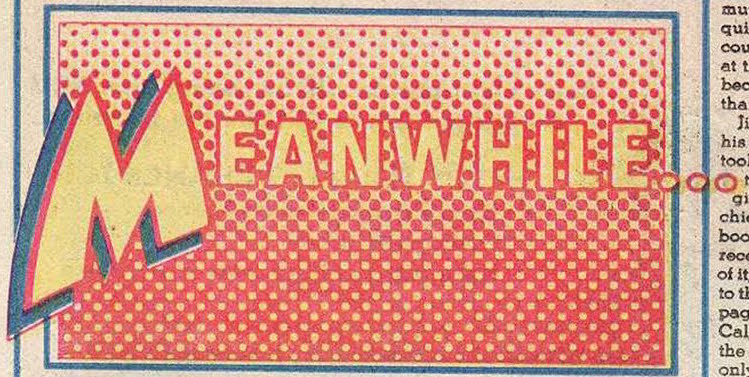 Lastly, they’re just friggin’ great comics. I look forward to many more volumes from Sejic and other creators who realize that web-first content can really be a strong marketing move. There are a lot of other changes within the comic market and industry that I could talk about, but I really don’t want to get into the nitty and the gritty here, on this nice list of positivity. Likewise, I am sure there are some great books that I’ve left off, even using the criteria of “made me happy as a retailer,” but I feel like I needed to keep this as tight as possible. Now it’s your turn: Please share the books that made you happy, not as a fan of company or character but as a fan of comics, either below or in the social media post that got you here.